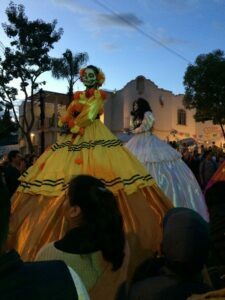 My family and I invite you to join us in our home town, Teotitlán del Valle, for a unique exploration of our Zapotec culture, community and traditions during the annual Dia de los Muertos, The Day of the Dead. Together, we will honor our ancestors, create cultural connections, and explore Oaxaca’s artistic diversity. You will experience life today in Teotitlán del Valle and our neighboring towns, visit artist studios and historic sites, share meals and participate in our festival preparations along with us. 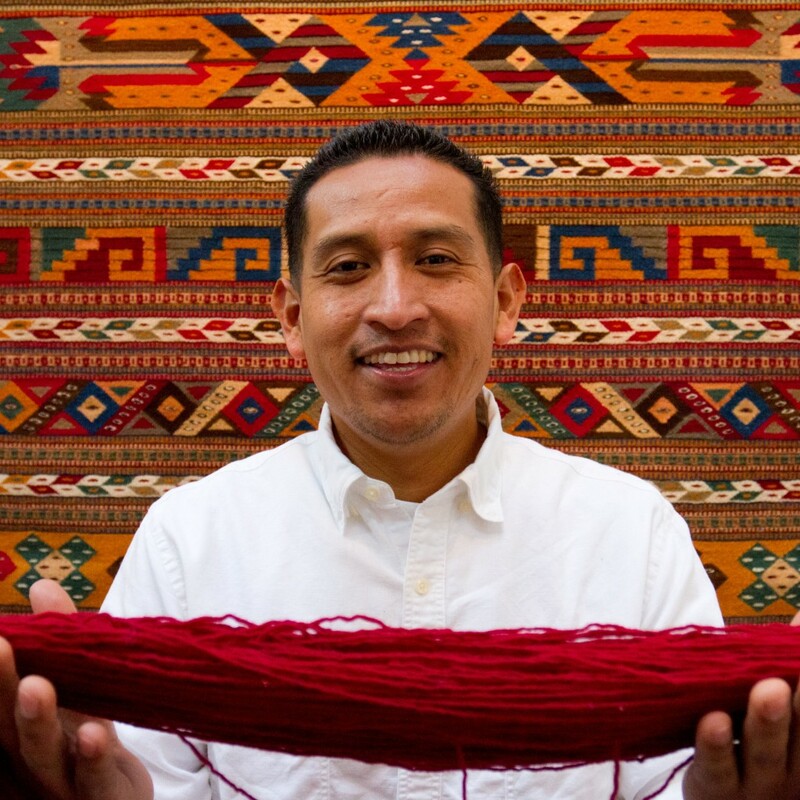 Together we will explore my family’s Zapotec heritage and history, and consider how the modern Zapotec identity is shaped by centuries-old customs. There will be ample time for independent excursions, quiet walks and happy discoveries. 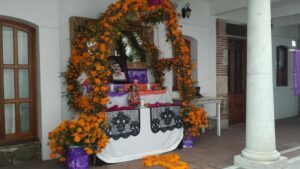 I look forward to welcoming you to my home in Oaxaca. ~ Porfirio Gutierrez. DAY 1 Wednesday, Oct. 30th/ Arrive Oaxaca City 8:30 PM, first night at Casona El Llano. Check in and enjoy a welcome reception. DAY 6 Monday. Nov. 4th/San Agustin Etla, Art & Innovation: Today after breakfast at the hotel we’ll head north to the green hills of San Agustin Etla, home to the CASA arts center, a beautifully restored former mill that houses a paper studio, felted sculpture workshop, gallery and art classrooms. We’ll have lunch in a nearby outdoor dining room and stop by to visit with a painter using cochineal pigments in his artwork. DAY 8 Wednesday, Nov. 6 Departure day. Leave for the airport by 7:30 AM. Guests who’d like to stay longer can work with us to extend their hotel reservation. COST PER PERSON $2495, exclusive of airfare. This is a sample itinerary and subject to change. Maximum group size is 12. Meals provided are noted as B-breakfast, L-lunch, D-dinner. Tour cost includes airport transfers, ground transportation by private van, interpreting, entry fees, guide services and all meals noted. Additional expenses are alcoholic beverages, personal purchases, and optional gratuities. Price quoted is per person, double occupancy. Single supplements for individual rooms are $450 per person. There is a limit of 4 single rooms on a first-paid, first-reserved basis.